Implementation of Process Analytical Technology (PAT) in your bioreactor system requires that automatically collected at-line samples be automatically analyzed. At Bend Research, we have a long history of success resolving integration and development challenges. Let us help you interface the MAST system with your most difficult PAT process. Together we can create a real product quality attribute controlled process. Schedule samples from the MAST Scheduler software. Initiate all types of FLEX sampling methods. Can download sampling parameters as well as sample ID and experiment number. MAST integration software communicates with the Gilson Trilution software utilizing the full capabilities of the Gilson liquid handling system. Can receive whole broth samples directly from a Sample Pilot, or cell free samples from the MAST cell removal system. Can save samples as a chilled retain, or process the samples with all of the methods available to the Gilson system including Protein A, solid phase extraction, digestions, pre-filtrations, de-aminations and dilutions. Methods are run automatically as ordered in the MAST scheduling software. Processed samples can be delivered to downstream devices such as the Waters PATROL UPLC for automated analysis. MAST integration software communicates with the Gilson Trilution software and the Empower 3 Toolkit software to initiate sample collection and processing. Methods available in the Waters PATROL system can be accessed by the MAST system during sample scheduling. 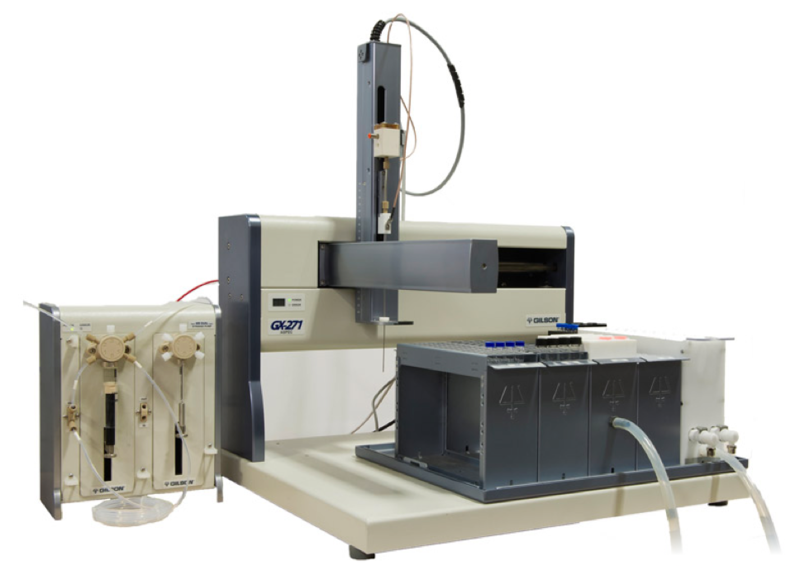 Cell free samples processed by the Gilson can be transferred to the Waters PATROL system for automated analysis using the method selected in the MAST system. MAST integration software communicates with the Cary 60 software to initiate automated analysis of the sample. The MAST team has an ongoing program of integrating third party analytical devices. Development programs underway include integration with the CEDEX Bio-HT, the CEDEX HiRes, and the ViCell. Bend Research is also working on multiple development projects associated with integrating to data historians like PI or supervisory data management & control systems like Delta V or other client specific data management systems. If your analyzer or data management system is not described here, we can put together a straightforward integration development program to get you connected.